When you walked in shopping mall . 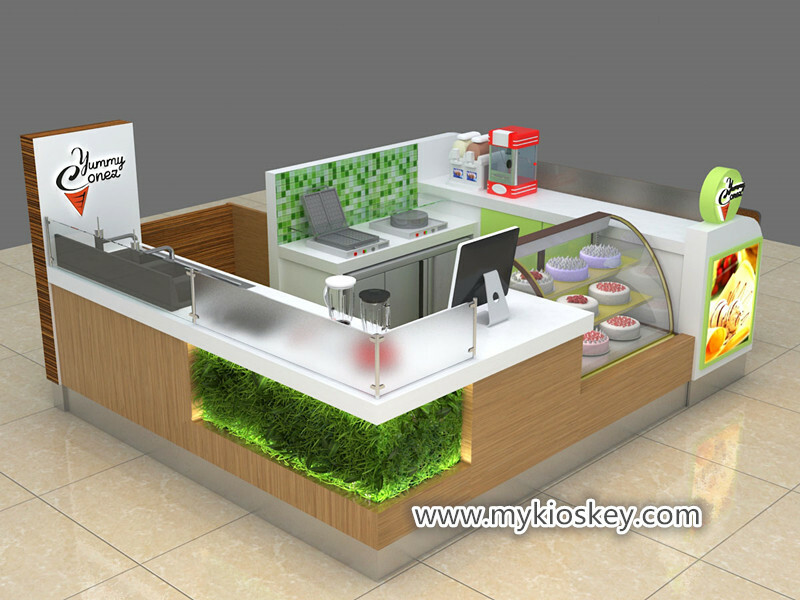 you will see many different kinds of food counter , such as juice bar , frozen yougrt kiosk , ice cream kiosk , popcorn kiosk , snack kiosk etc , Today i wanna introduce a shopping mall 3d soft ice cream kiosk design for your meet . 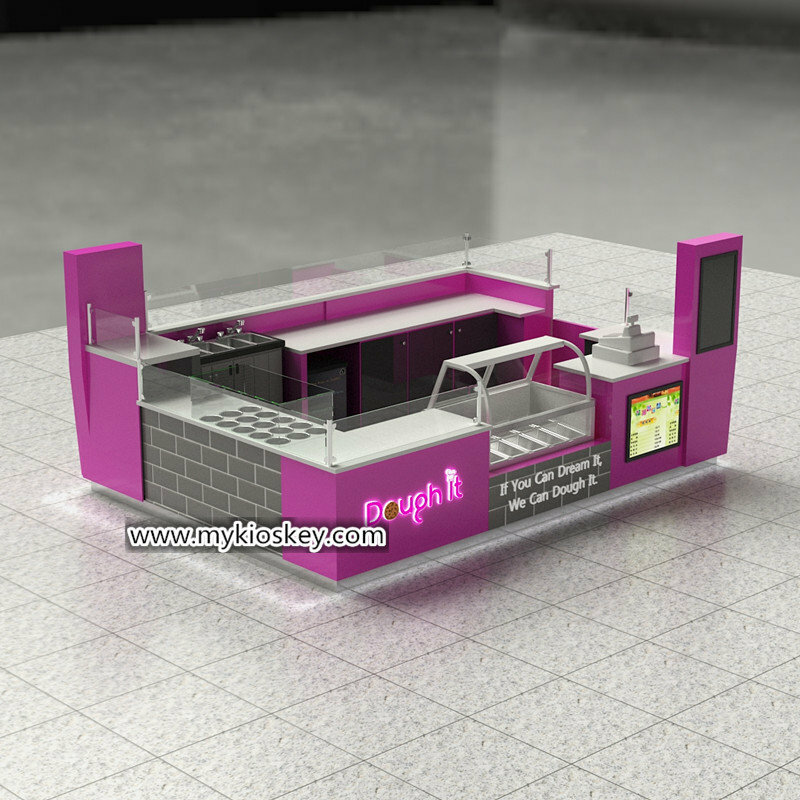 hope is helpful for your business . 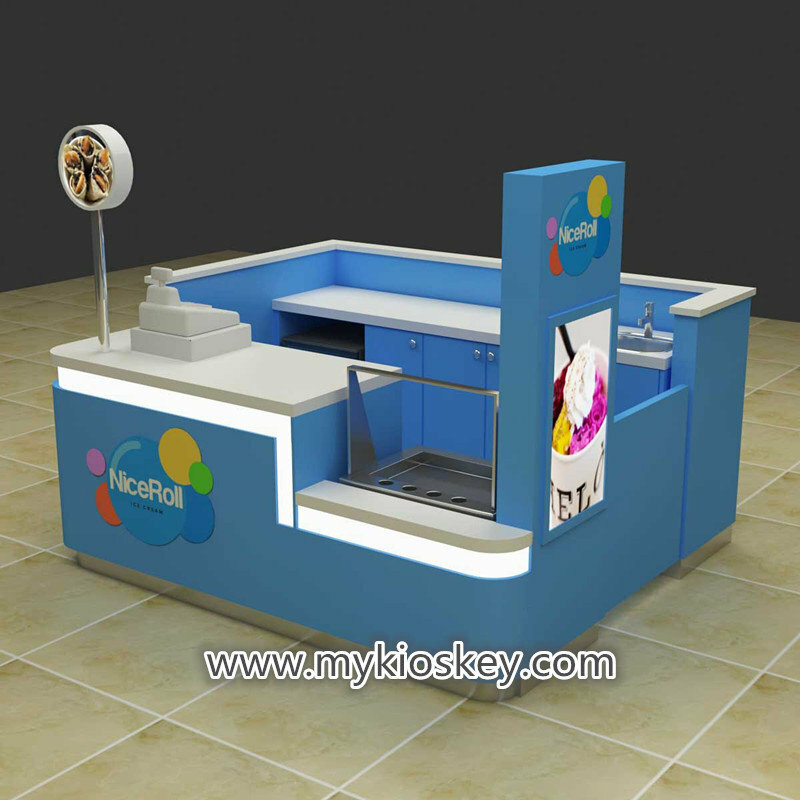 1.More introduce about this ice cream kiosk . 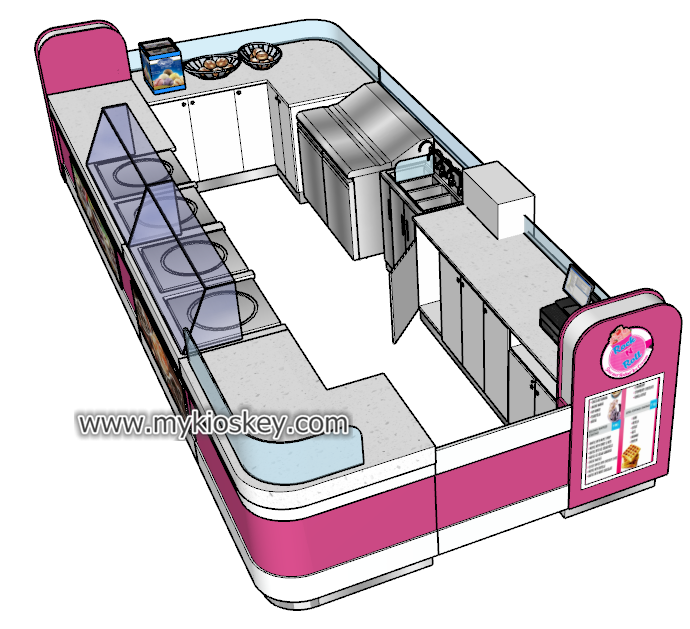 Item : ice cream kiosk . Color : white and red . Delivery : 22-25 work days . 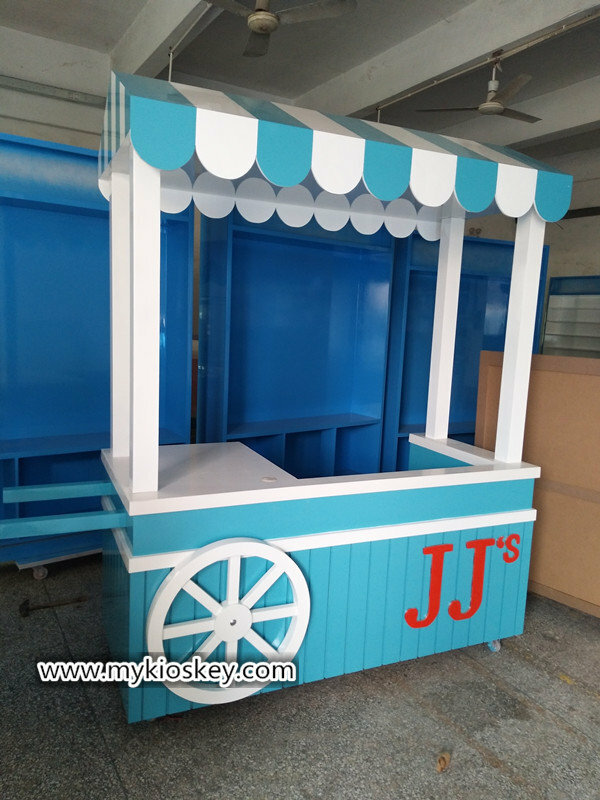 Package : foam isnide + wooden box outside . 2. 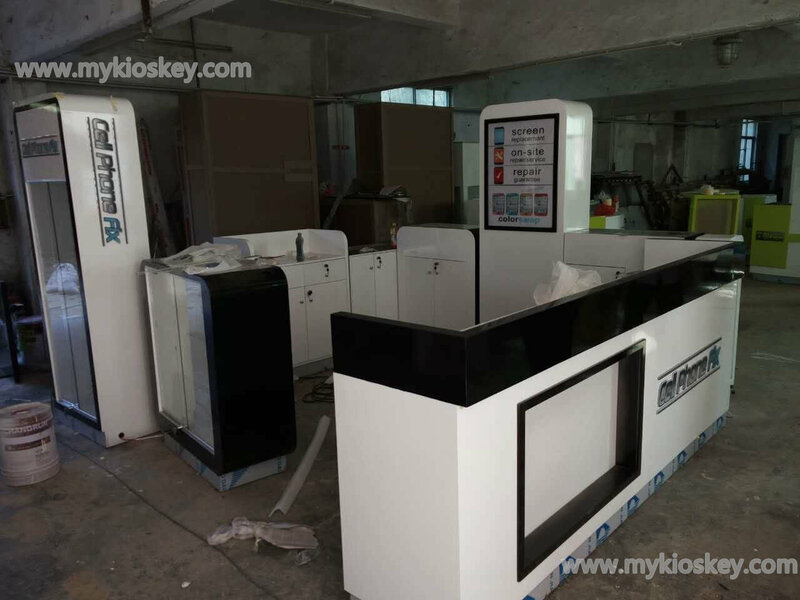 Some real production photos for your reviews . 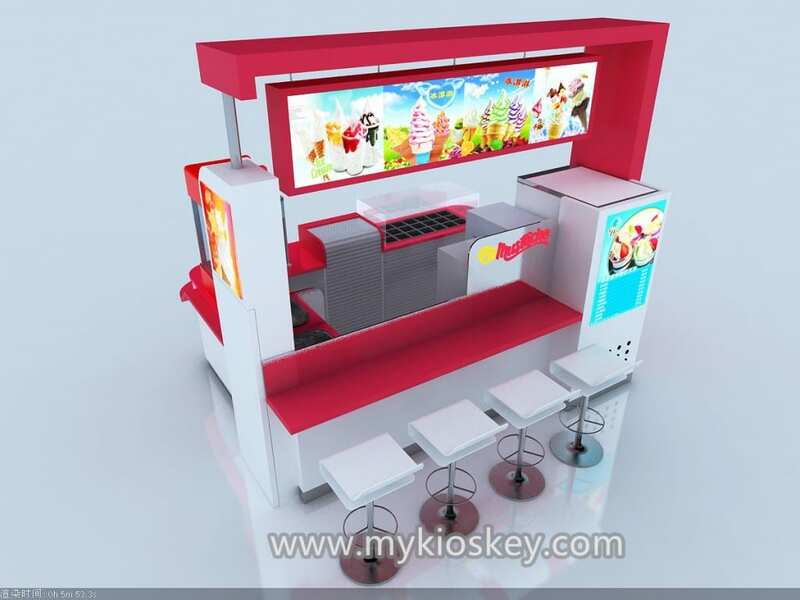 3. how can i build a special coffee kiosk like this ? 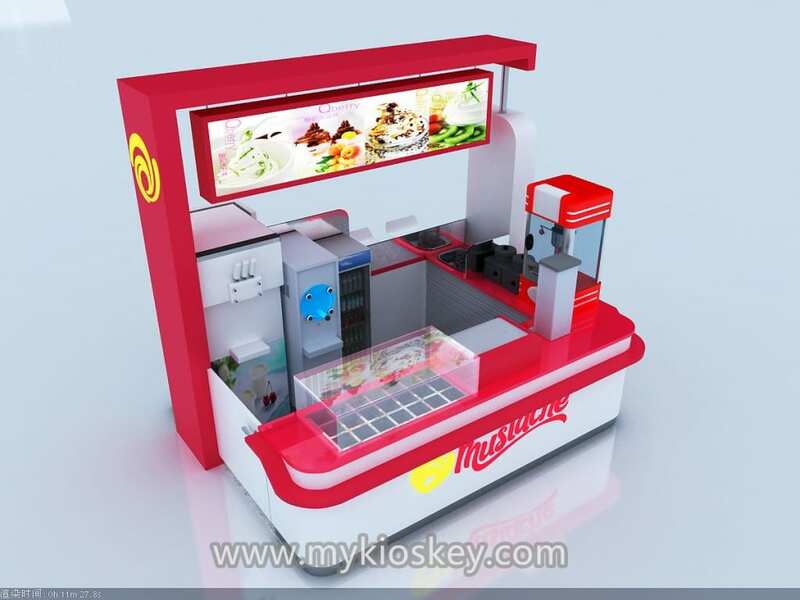 such as this kiosk size is 4000X3000mm , But this is not a uniform standard , it depend on your location space size .Even if your position is an irregular space, we can customize a comfortable kiosk for you . 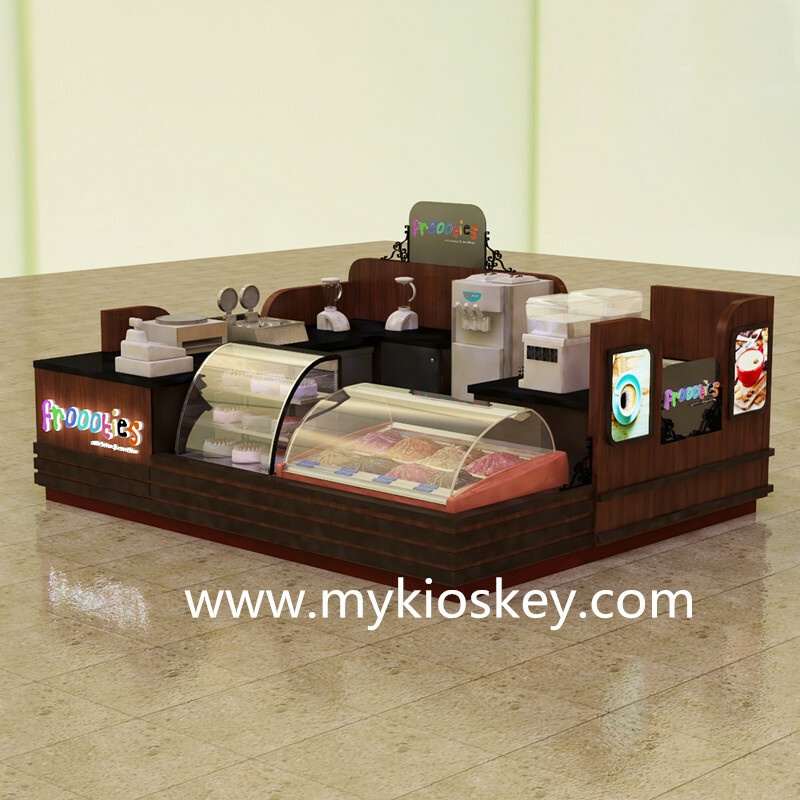 1) any color is ok. we also can help you suggest , usually white is a good choose , if you want selling juice , ice cream , you can try choise bright color , if whole kiosk for selling coffee , brown and wood grain will be looks better . 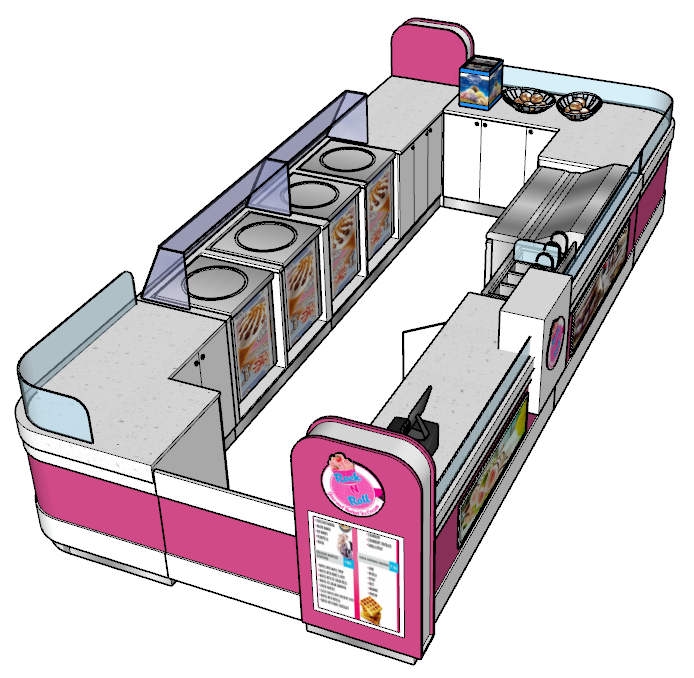 2) corian . 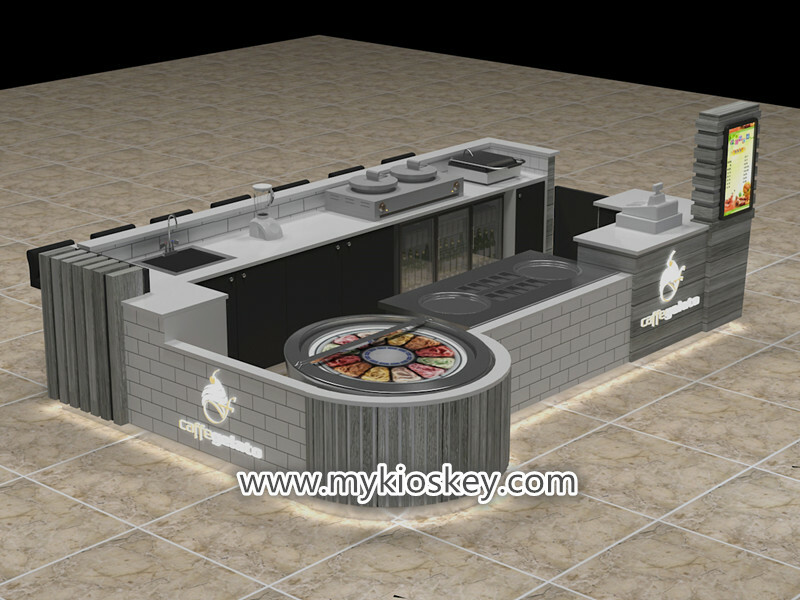 i think choose corian for countertop is better , Stone hardness is very high , Very high-end and healthy . 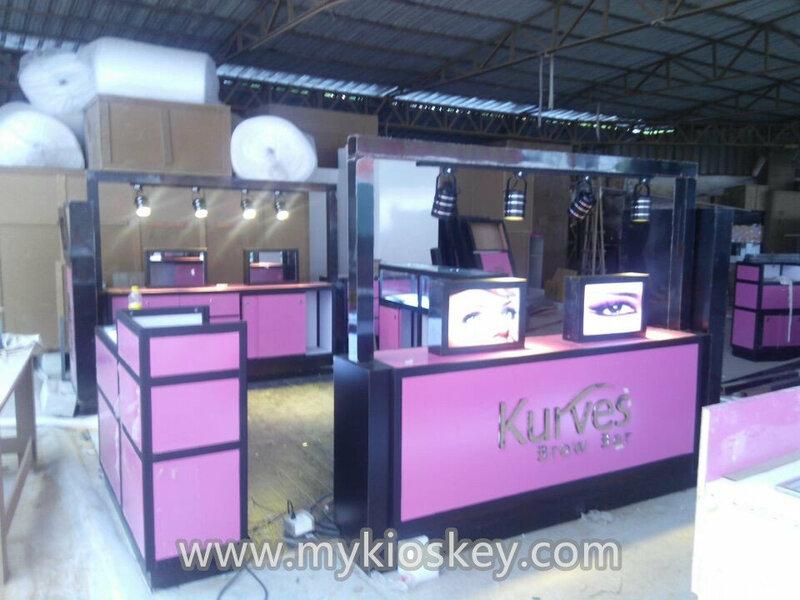 the stone color is many , you will have more choose to make it match whole kiosk . 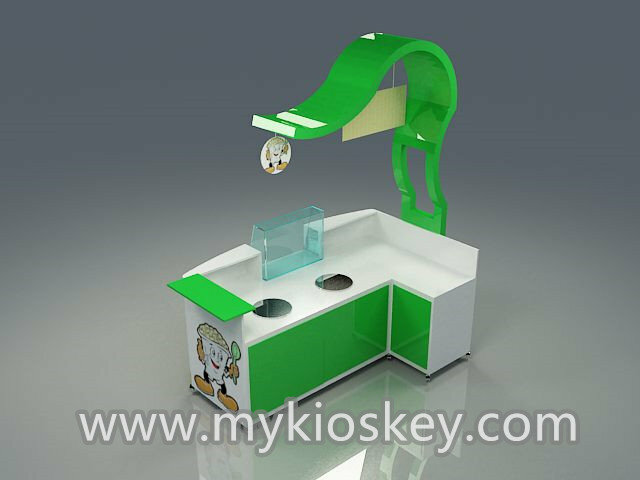 Thanks for your time and reading , hope this post can helpful for your own business . 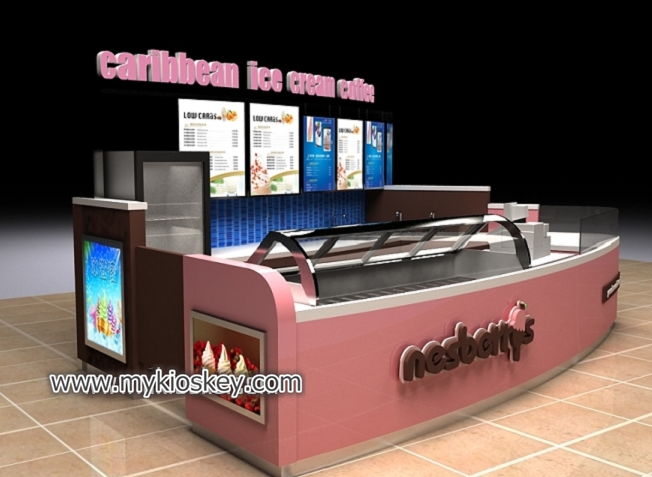 if you plan start your icecream kiosk or mall kiosk project , pls direct contact and share all of your ideas to us . 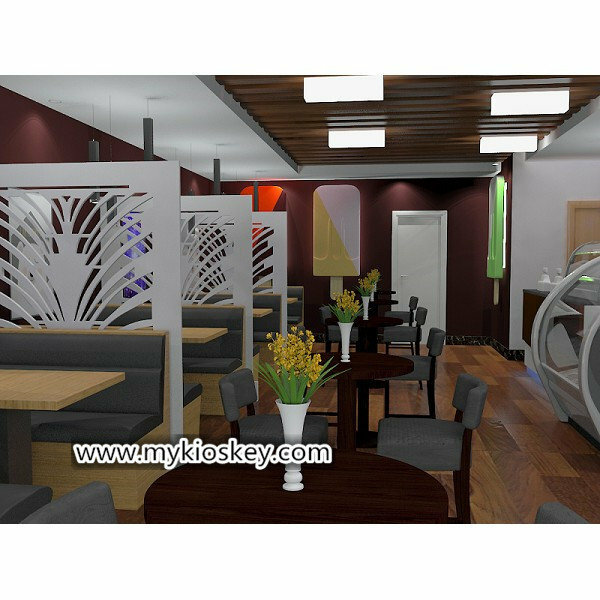 We are very professional and have many experience , We can turn your idea into reality，make it Exquisite and Unique . 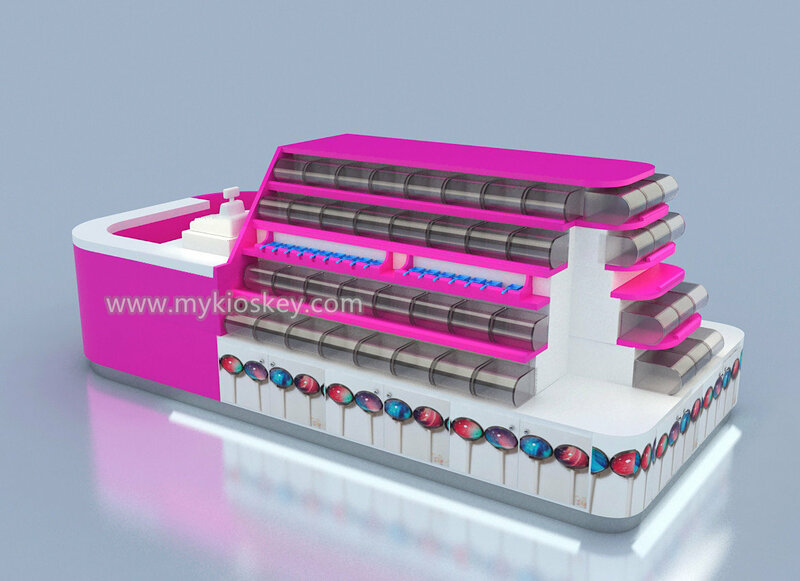 get more further information， contact us as below .Thank you !